What if you wake up one busy morning and feel like having something which has the best of both the east and the west. We Indians find hot and spicy delicacies to our west and mild and savory wonders to our east. So what do you do when you want the best of both worlds? Well, you make Massaman Curry. A Thai version of Persian meat curry, this dish suits a wide variety of meats. We made chicken at home. This is my version. First, make the curry paste. Dry roast all the ingredients except the tamarind paste, shrimp paste, and fish sauce. Grind the roasted ingredients into a medium to fine powder, then mix in the wet ingredients and let it rest. 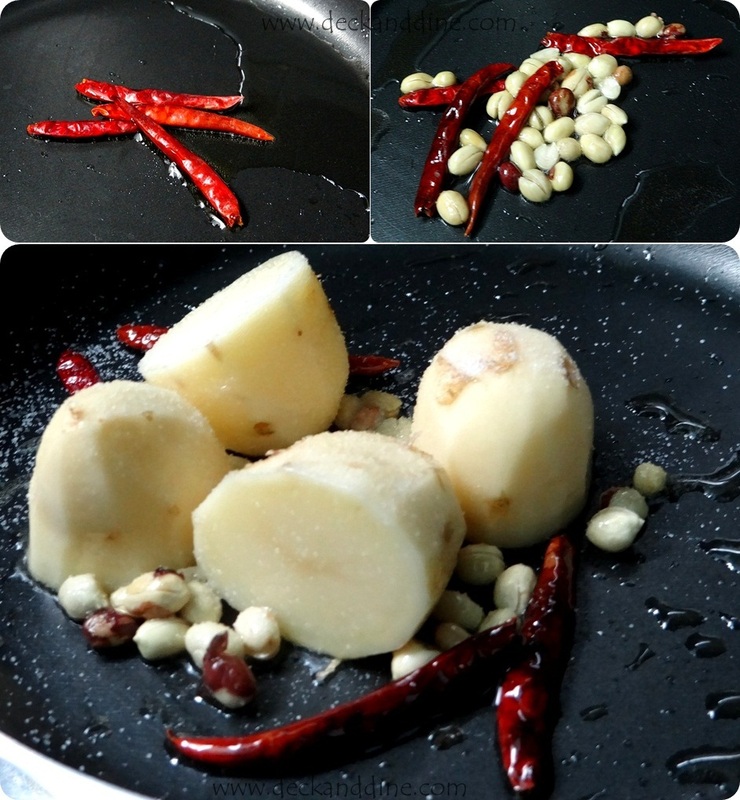 Heat oil in a pan and add a few dry red chilies. Toss in the peanuts and stir. Add the potatoes and cook further till they are slightly brown. 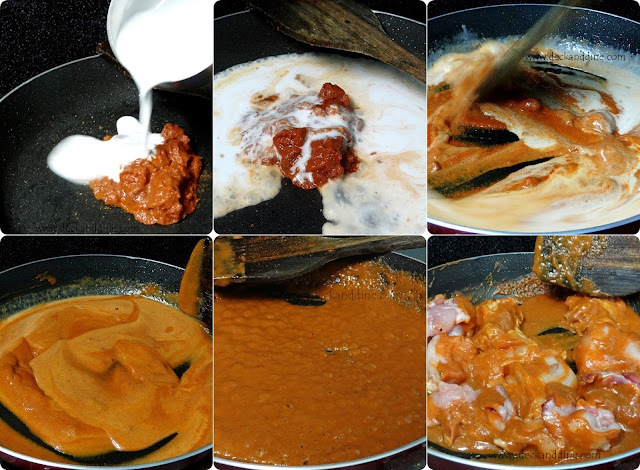 Empty the pan, add the coconut milk and the curry paste; mix them thoroughly and let it bubble. When the mixture reduces to about three fourths, add in the chicken and stir in for about 2 minutes. Toss in the potatoes and peanuts. Add salt to taste. Cover and cook on medium flame for about 7 minutes. Add lime leaves, half a tomato (this was totally my touch), water; cover and cook till the meat and potatoes are cooked through. Nice recipe , looks delicious . It's damn easy and quick one, I am trying for sure.